New Delhi, March 22: India will not send any official representative to the Pakistan National Day event at the Pakistan High Commission here on Friday in protest against the invitation extended to Hurriyat leaders from Jammu and Kashmir, informed sources said. The invitation to the separatists indicated that Pakistan was again meddling in India's internal affairs and hence the time was not conducive to send an official representative to the event, the sources said. PM Narendra Modi Hits Out at Sam Pitroda For Questioning Balakot Death Toll, Says 'Congress Celebrating Pakistan National Day'. 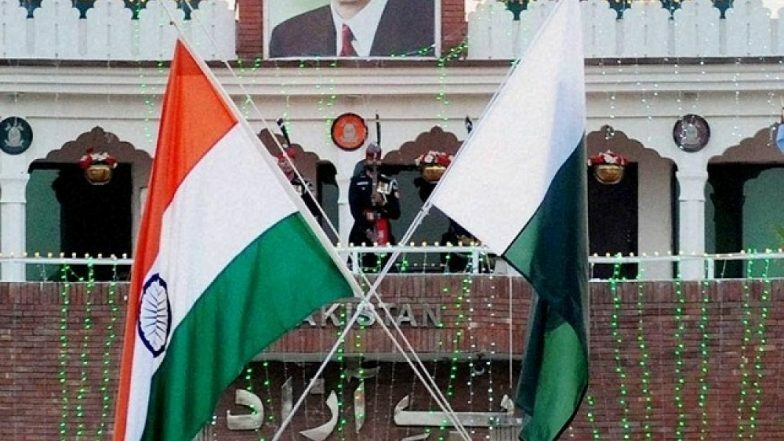 Diplomatic ties between India and Pakistan have been strained due to heightened tension between the two countries since the February 14 Pulwama suicide bombing for which Pakistan-based Jaish-e-Mohammed claimed responsibility. Pakistan National Day is observed every year on March 23 though the Pakistan High Commission decided to organise the event this year a day earlier.